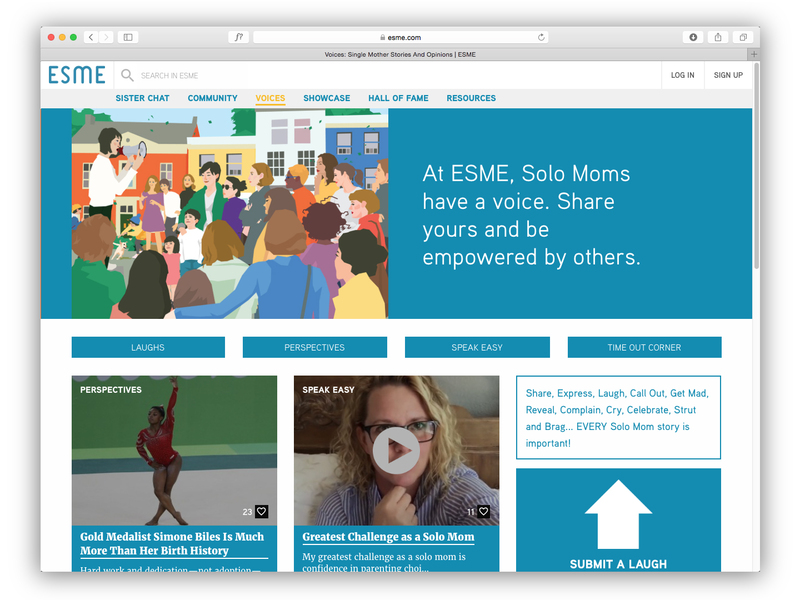 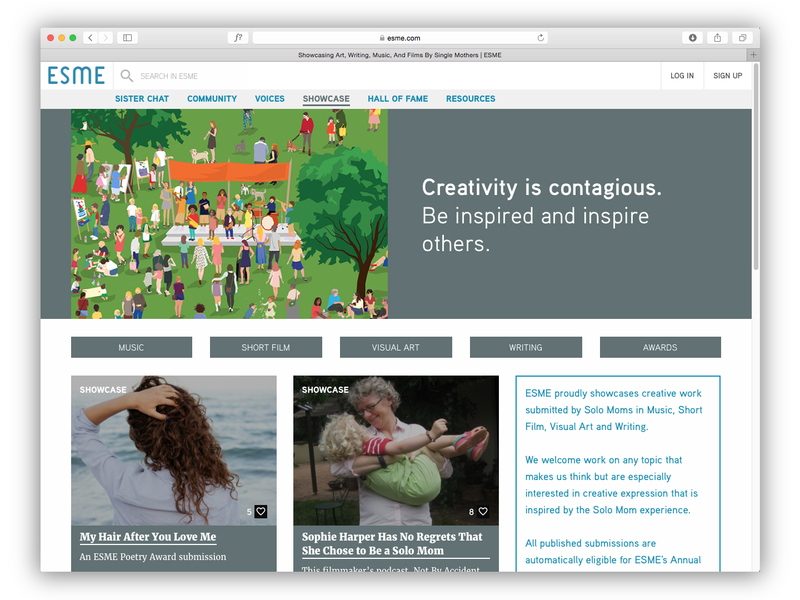 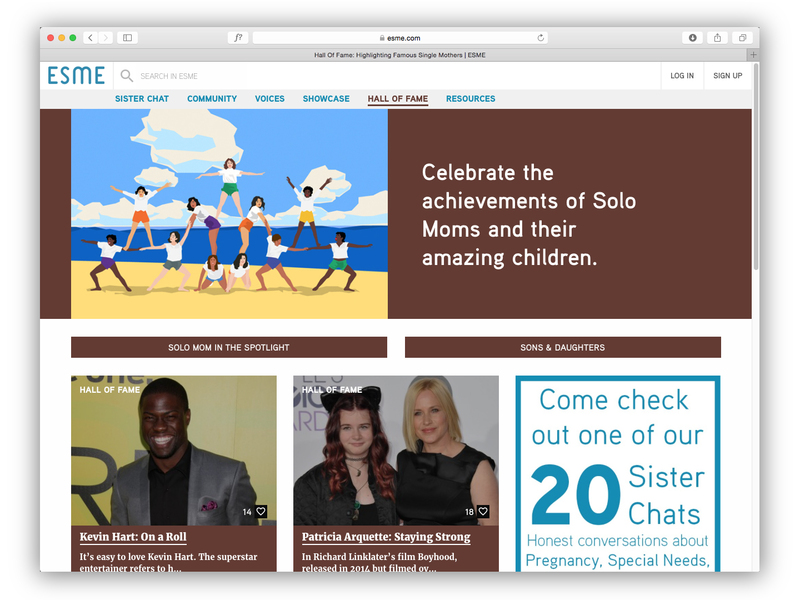 We are so proud and excited to have worked on this website for solo moms. 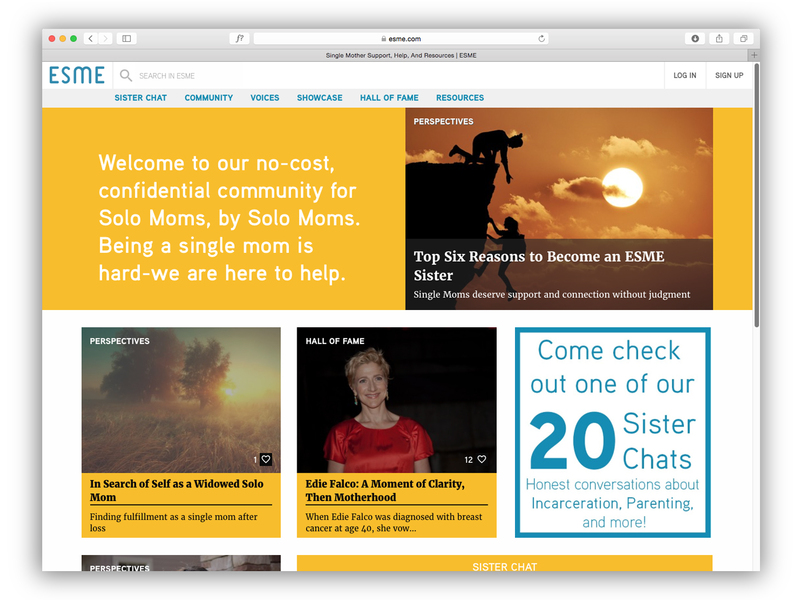 The site provides resources, support, and a place for moms to connect. 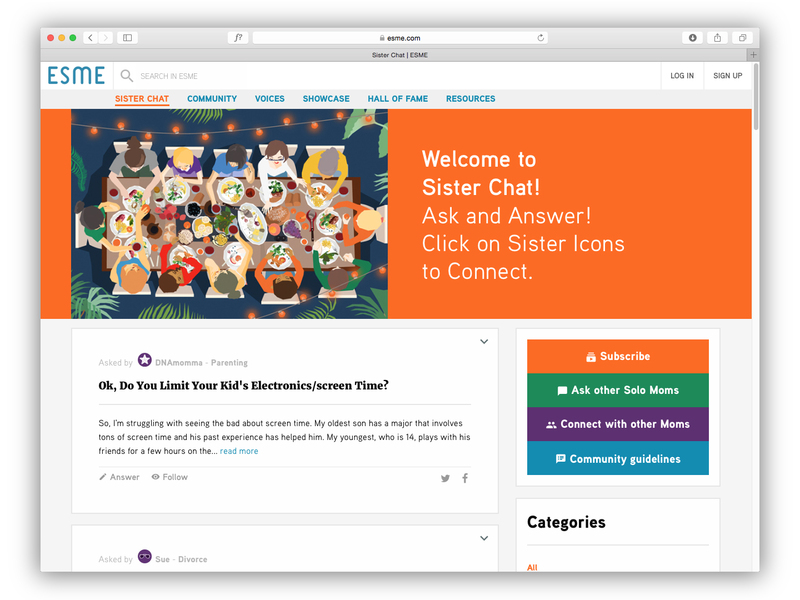 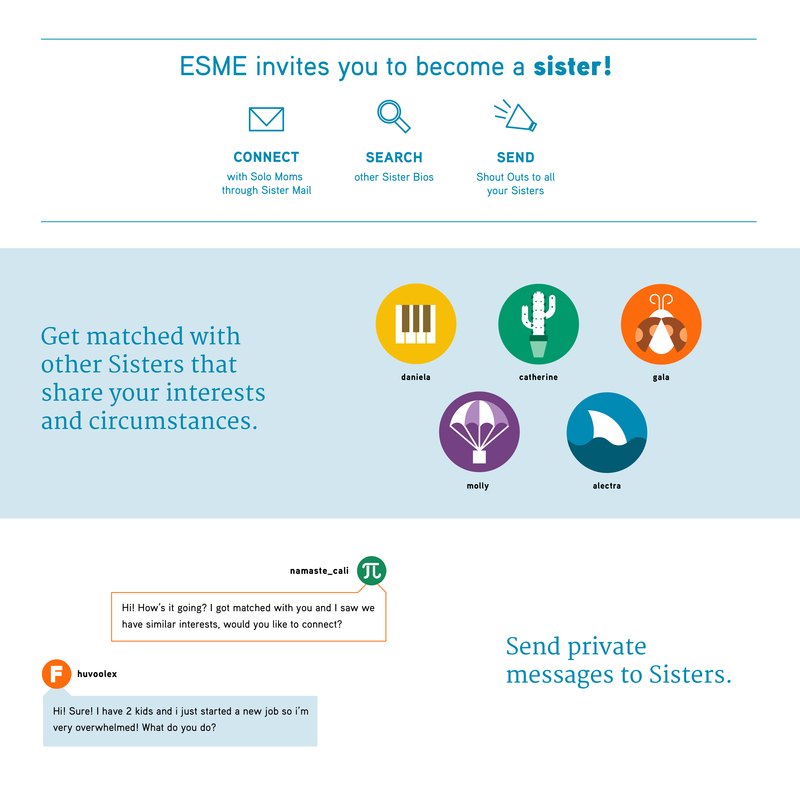 Registered 'sisters' can post essays, art, and videos; ask and answer each others questions; and connect through sister matching.